We actually went on a family vacation over Thanksgiving! This was the first time Austin and I have had a trip together (just us, without visiting or traveling with other family members) since our honeymoon over eight years ago. We finished paying off $19,000 of debt in October and were able to scrape together money for this somewhat last-minute trip. 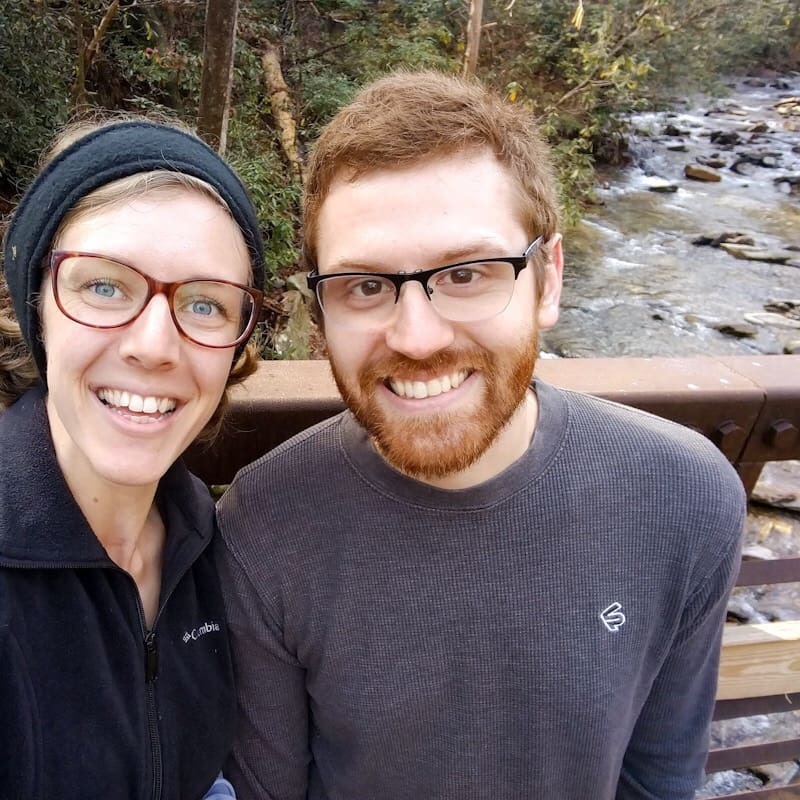 We drove about 11 hours to Asheville, North Carolina and had so much fun! So today, I wanted to dish out some of our budget travel tips that helped us make this frugal vacation happen! Your priorities will help you determine how to spend your vacation budget. If you’re trying to get some time away for as cheap as possible, you’re going to handle activities and food and accommodations very differently than if you want to see some big attractions. 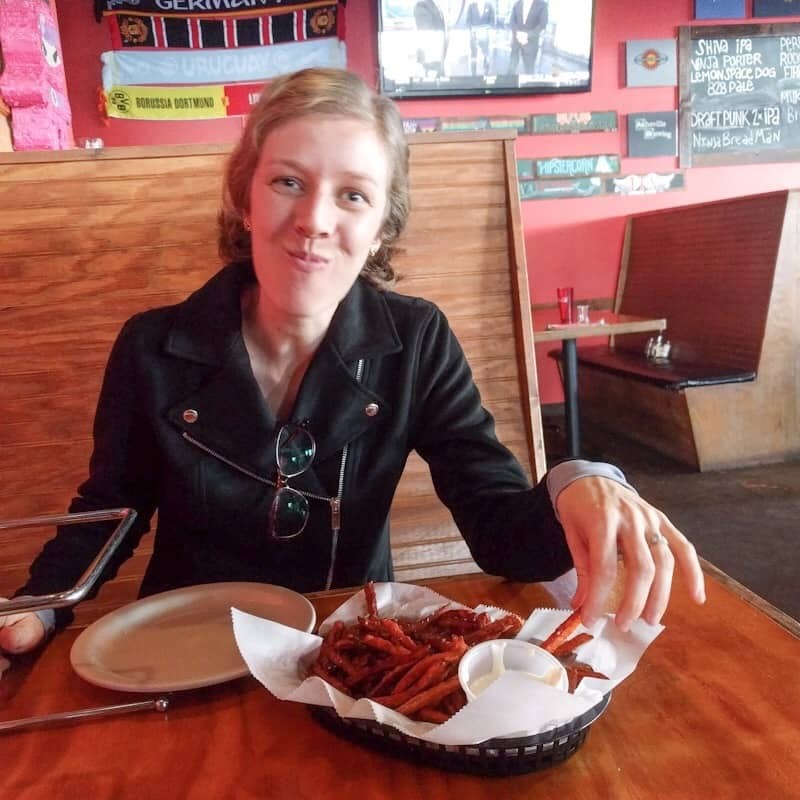 Austin and I love good local food, so we spent a lot more than most people would on eating out at local restaurants. For us, the local food was a big part of our trip! We knew it was one of our vacation priorities. 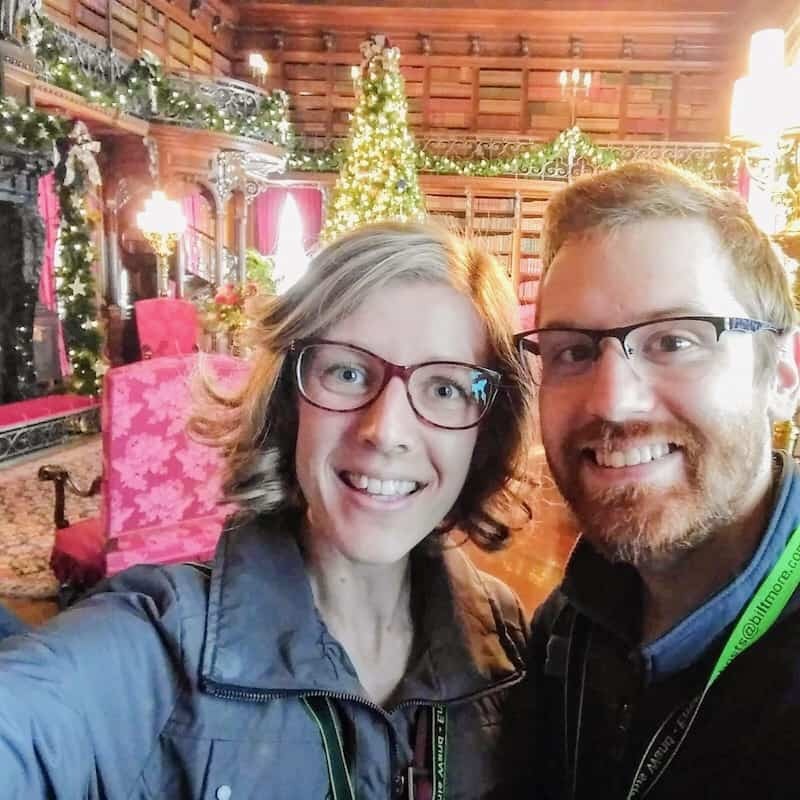 Our other big priority was to tour the Biltmore house, which is a bit pricey. 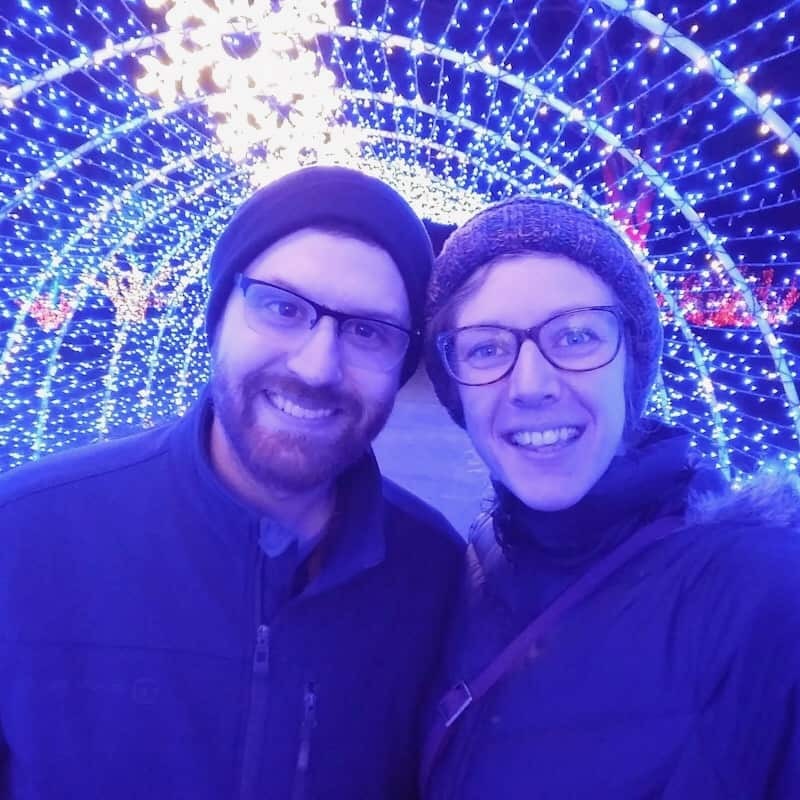 Having those priorities decided allowed us to fill in the rest of our time with less expensive activities, like hiking, a walking tour, and a light show. Traveling is not the time to throw all caution to the wind and spend whatever you want. Set a vacation budget and stick to it! I recorded all of our spending each day and subtracted it from our total vacation budget so that I always knew how much money we had left. 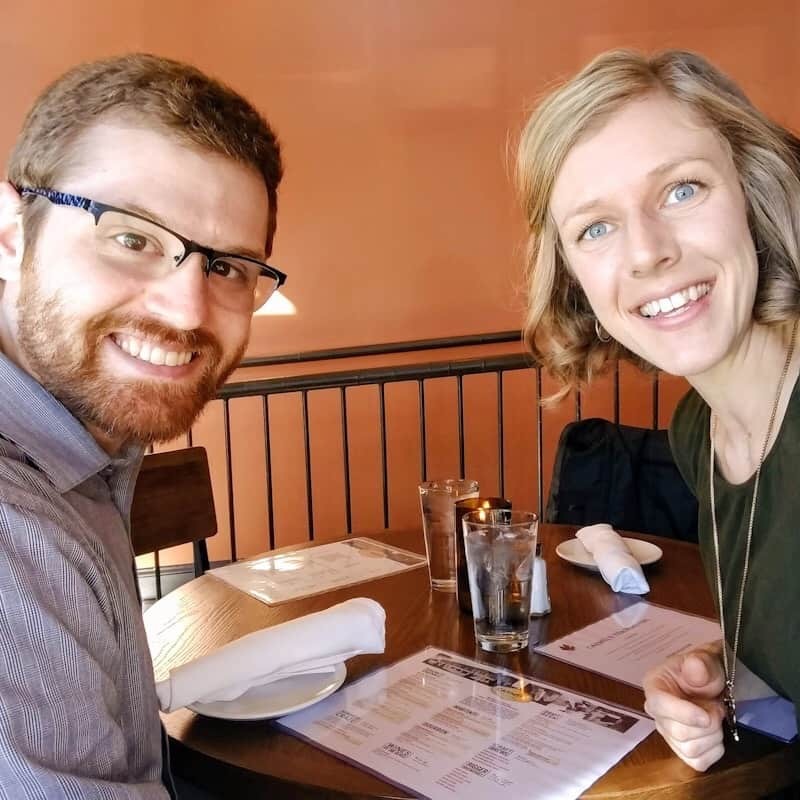 This helped us decide if we could treat ourselves to a more expensive restaurant and activity or if we should find something more frugal. You might ask how we came up with our vacation budget. I started by estimating our travel costs. We did a one-day road trip and I used gasbuddy.com to help me estimate what our gas costs would be. Then I looked up accommodations to estimate that cost, which was the biggest expense we had. 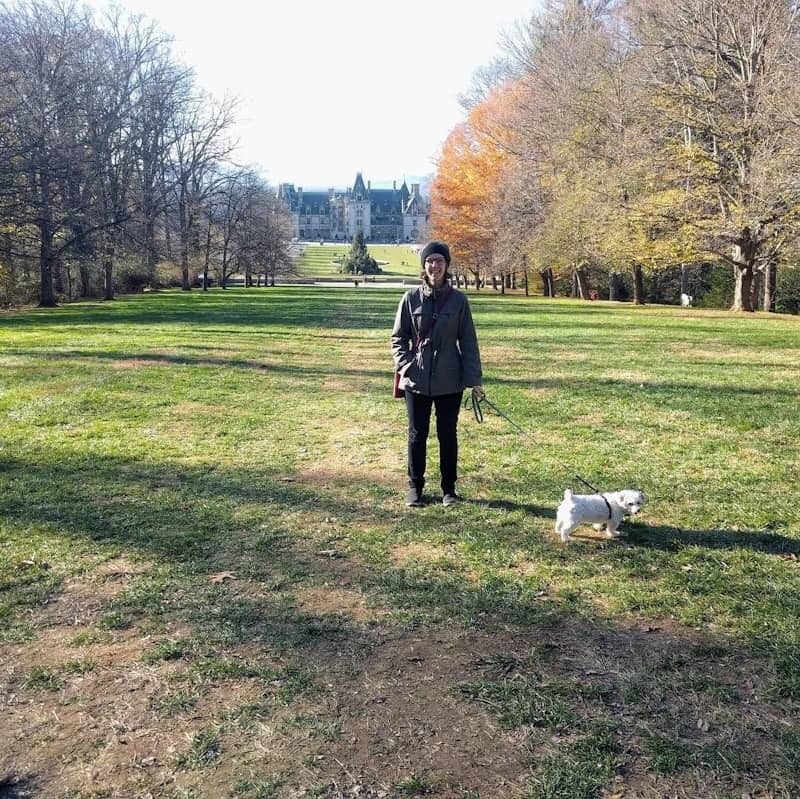 After that, I looked up costs for any expensive activities we knew we wanted to do — in this case: the Biltmore House. By now, I had an estimate for what it would cost for our travel, accommodations, and the most expensive activities. I just needed to add in enough to cover food and smaller activities. For this trip, I planned about $75 per day for these extras. We could have certainly made do with less, but I knew we’d want to eat at a lot of local restaurants and there were a few activities that looked exciting at around $20 per person. Doing some research and planning our budget around the big stuff first helped us estimate our costs and then stick to the budget during our trip. This was our first time renting an apartment from Airbnb and it was a great experience! 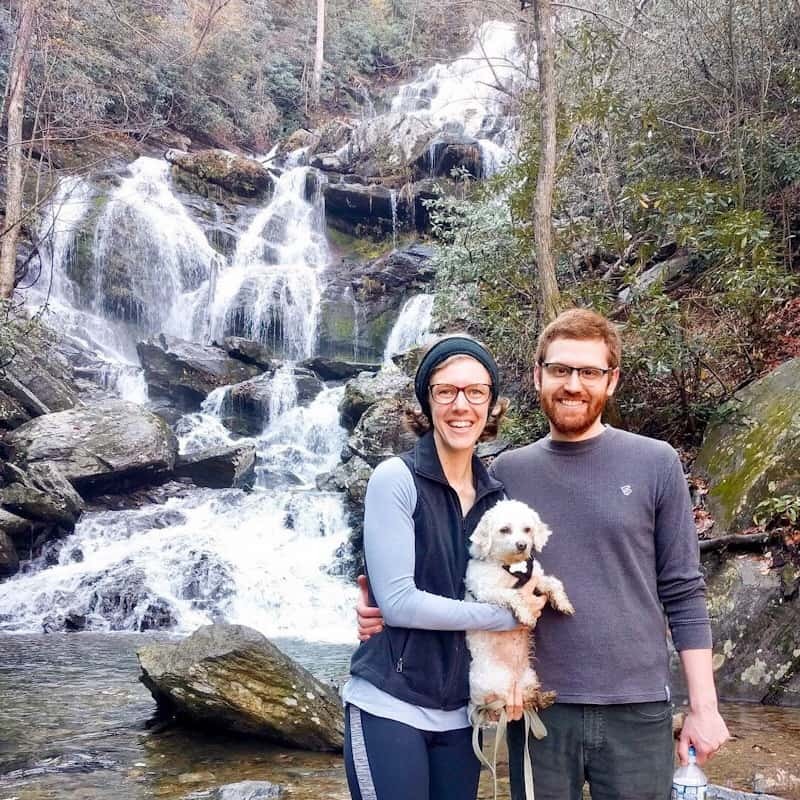 The hotels around Asheville that allow dogs were crazy-expensive. We saved a small fortune by renting a cute little apartment close to downtown. While we didn’t cook at the apartment because we preferred to experience local restaurants, it is super nice that AirBnbs can give you that money-saving option. Be sure to check for Airbnb rentals for your next trip! A lot of attractions will give you a discount if you order your tickets online ahead of your trip! This was true for the Biltmore House. I believe we saved $10 per ticket by purchasing in advance. This also secured our spot. We were visiting on a super busy day and we didn’t have to worry about waiting or getting in because we had pre-purchased tickets for that day. As you do your vacation research, make sure to check if buying tickets early will save you money! We’re quite used to eating three meals a day at regular times, but not on vacation! We saved money by eating fewer meals. Honestly, we just weren’t hungry for three meals a day because the servings at the restaurants we went to were quite large. We just ate when we were hungry and didn’t worry about normal meal schedules, which saved money. We also took leftovers back to our Airbnb to eat later if we got a little hungry. Plus, we had leftover car snacks to much first thing in the morning. Between the snacks we brought with us, leftovers, and one or two big meals out each day, we did not go hungry! We had plenty of leftovers once we got to Asheville and continued to eat our snacks at breakfast or bedtime during our trip. Lastly, I’ll mention that we saved a lot of money by driving instead of flying. We made sure to choose a destination within a one-day drive of us so that the drive didn’t take up too much of our trip. We knew that we would need a car to get around in Asheville, so it would have made no sense financially to fly and then rent a car. It’s generally cheaper to drive instead of fly, especially if you will need a car at your destination. You just need to weigh the time vs the money of how long it will take to drive when you have limited vacation time. For me, if I can’t get somewhere within one day of driving, it’s worth the cost to fly, but I know people have varying opinions on this. 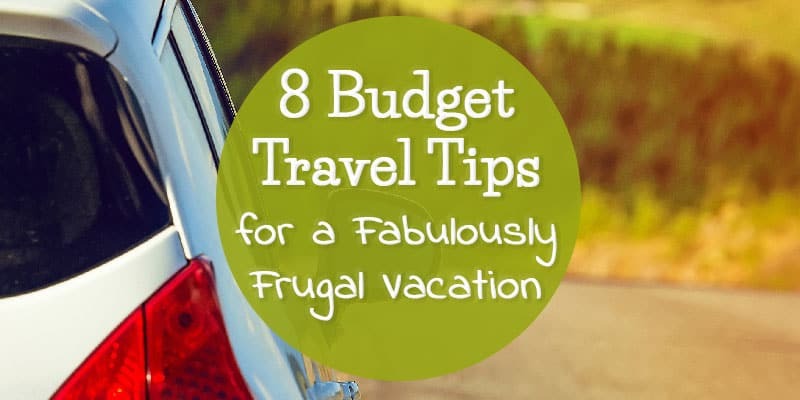 All of these strategies helped us have a super fun vacation while sticking to our budget. 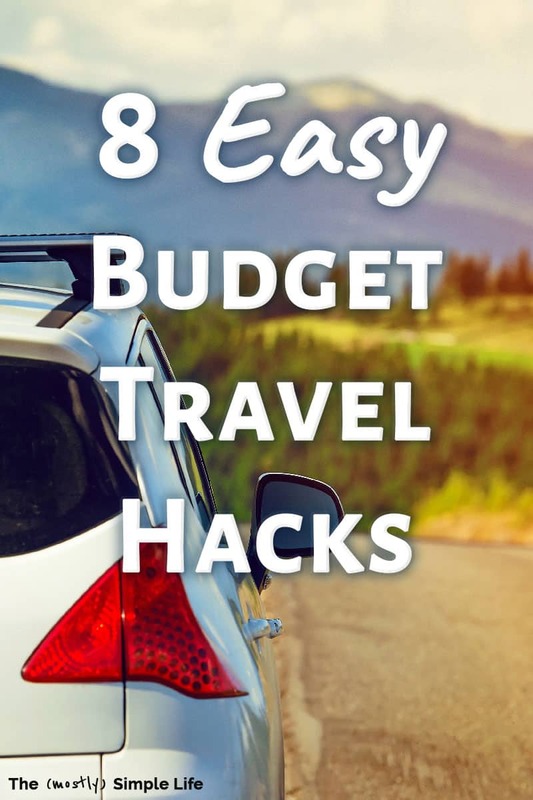 I can’t wait to learn more budget travel tips in the future (leave your fav tips in the comments!) but I feel like we did a great job of enjoying our vacation while being mindful of the budget. We have used Airbnb a few times and have really enjoyed it. We also have gotten free nights at hotels with our credit card points. They do have an annual fee though. Our credit card uses mostly Holiday Inn and another place that doesn’t have free breakfast . We figured this out after a few years, so we usually try to get Holiday Inns, because they have free breakfasts. We also love to eat locally and eat fewer meals per day, as you do. Different locations have different prices. For example, biking is big at Hilton Head, so you can get bikes really, really cheap for a week. They are delivered to your hotel and picked up – nice! We only stayed one night in a hotel, the rest of the nights we stayed in a different town at an airbnb. But we went to Hilton Head several days and our bikes were kept there at the hotel. I have been churning credit cards for a few years and we currently have enough points to have two more plane tickets also and probably at least 10 nights free in a hotel. Now, to decide on a destination! Fun! Wow, that all sounds amazing Chris!